Lex Luthor may not have been able to destroy Superman, but he may have better luck with Kal-El’s famous cousin. In last night’s episode of Supergirl, Lex’s long term plans were finally revealed. He’s been behind almost all of Kara’s problems this season. Everything from the rise of Ben Lockwood to the near fatal shooting James Olsen is Lex’s fault. For the last three years, Lex has carefully laid out his revenge. Now, Kara’s duplicate, the Red Daughter, may finally be the key to bringing Supergirl down. In the first promo for Supergirl episode 4.17, Red Daughter impersonates Kara and attacks the White House. Unfortunately for Kara, President Baker already hated and feared her. Now, Baker has the perfect excuse to name Kara as “Public Enemy #1.’ Somehow, Supergirl and her friends have to find a way to clear her. And the only way to do that is by capturing Lex’s accomplice, Eve Teschmacher. 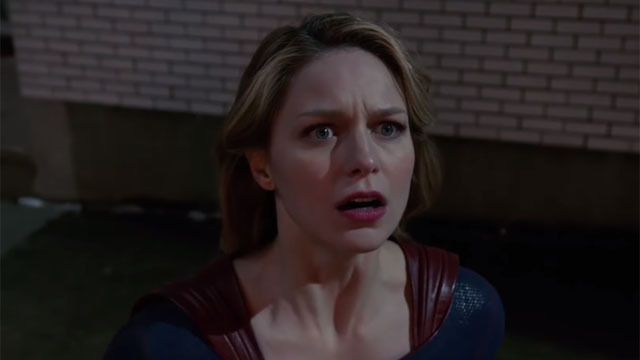 Supergirl‘s next episode will air on The CW on Sunday, March 31. What do you think about the Supergirl episode 4.17 promo? Let us know in the comment section below!